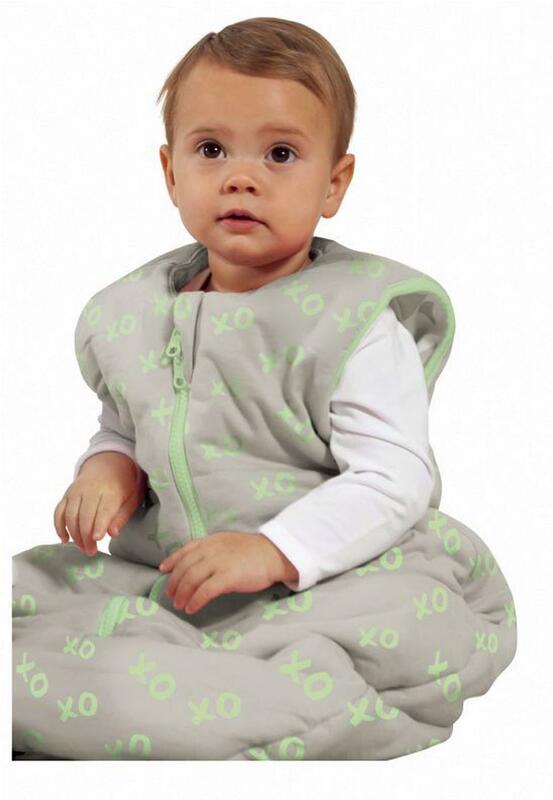 Baby Studio "Studio Bag" has been designed as a safe sleep alternative for the newborn who does not like to swaddle. This unique sleeping bag gives the newborn the feeling of being swaddled while allowing the freedom to stretch out their arms. The all year round studio bag (for room temperatures between 16 - 20 degrees) has also been designed as a 2 in 1 reversible sleeping bag with cosy fabric (solid colour side/100% Jersey Cotton) and a cooler fabric (pattern side/100% woven cotton) for the changing sleep environment. It also has a buckle feature to allow a baby to be placed securely in a stroller/car seat or bouncer with the buckle locking baby into place.